The food industry is known for their ability to rename, reformulate, or simply hide ingredients in order to deceive consumers. Just when people began realizing how bad high fructose corn syrup is, the corn industry introduced “corn sugar” to placate the masses. MSG, one of the most damaging food additives out there, has dozens of other names by which food producers can list it. Now, gluten is on consumer radars, not necessarily because it’s harmful to everyone, but because some people have difficulty digesting it. Gluten-free has become the new en-vogue eating style and food makers know it. Unlike MSG and HFCS, however, food makers are pretty forthcoming about gluten. They are quick to point out on their labels if something is “gluten-free” because they know they can charge more and hit consumers who currently feel limited by what they can buy while trying to avoid gluten. Or, maybe some companies are trying to help people. 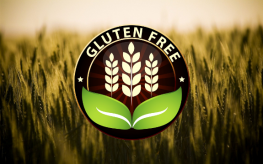 While gluten certainly isn’t the number one culprit in today’s toxic substances department, people are still trying to avoid it. And while many products represent the ‘gluten-free’ label, there are some foods that contain gluten you might not know about. Here are 7 foods that may contain gluten that you might not know about. Soups – Canned soups in particular often contain gluten. (They also contain BPA). Make sure you look for labels that explicitly state the product is “gluten free”. Reduced-Fat Foods – When food makers take fat out of foods, they add other junk back in. Starches including gluten help foods gel better when there is no fat present. Soy Sauce – There are gluten-free soy sauce options out there and you should seek them if you are avoiding gluten. That’s because regular soy sauce is usually 40 to 60% wheat. Ice Cream – Most ice cream flavors are packed with extras like cookie dough, caramel ribbons, and more. These little additions can wreak havoc on a gluten-sensitive digestive system. Make sure you read the label before you indulge. Salad Dressings – Thickening agents used in salad dressings often contain gluten. “Modified food starch” is one of these agents—be on the look-out for this gluten ingredient. Veggie Burgers – You may be able to avoid meat with a veggie patty, but in place of the animal protein, food makers use grains in addition to their veggies. Be cautious of all faux-meat products. Licorice – This surprising candy often has wheat flour as one of the main ingredients and few people would think to even read the label of licorice. While there are notable licorice benefits, know that gluten-inclusion is a possibility. In the ongoing hunt for gluten, it pays to know what you’re looking for. There is a lengthy list of food ingredients that ultimately contain gluten. Printing the list and carrying it with you to the grocery store could save you some extreme discomfort down the road. where can we get a list of foods containing gluten? I am having a problem with them to. thank you. Also, bleu cheese contains gluten. Answer to Michele G. Read *Eat right for your blood type* it may help you. allergies, some 30 years ago. So I was totally surprised on reading this book, that every food sensitivity and every health challenge, I had. I started eliminating foods and BINGO! I am so much better. Do have a good read… it just may sound whacky to you. There are things on the web that state that this book carries *no scientific proof*. That is garbage. If it works and your health is restored, that’s all you need to know. Science or no science! Almost, if not every, processed food contains gluten. I thought this would actually talk about food, not “food products” It was quite an eye opener, for example, to find my husband who is Celiac also reacted to Red Kidney Beans, for example. They and many other things are Gluten Mimickers! How about info on those?? We keep discovering more, and have yet to find a comprehensive list!